This is a special episode occasioned by the fact that we got our hands on a brand-new research paper that we thought was so interesting, and important, that you’d want to be among the first people to know about it. It’s called “The Gender Earnings Gap in the Gig Economy: Evidence From Over a Million Rideshare Drivers.” (You can read the paper in its entirety at the bottom of this page.) Those “rideshare” drivers, as you may have guessed, are Uber drivers. The paper was written by five economists — two who are employed by Uber; two Stanford professors; and one researcher who’s been on Freakonomics Radio several times: John List, who’s chairman of the University of Chicago economics department, and he moonlights as head of the ubernomics team at Uber. John LIST: Hey, how are you doing? List is one of three economists we’ll be hearing from today. There’s Rebecca Diamond, from the Stanford Graduate School of Business. And Jonathan Hall, who leads the public policy and economics team at Uber. Jonathan HALL: Yes. I have been working at Uber for just about three years, three hundred sixty days, a couple of hours. DUBNER: So, talk to me about how you came to be involved in this crew and your role. LIST: Sure. I work on various issues around the company that have an economics flavor. And one thing that has arisen recently is the gender pay gap. HALL: It’s generally agreed that it’s a terribly important topic in economics, but it’s not one that’s well-studied because of the dearth of data, and because people find it uncomfortable. DUBNER: So, all of us who’ve read even a little bit about the gender pay-gap problem, we’re used to hearing all different sorts of factors described as determinants. We’re also used to hearing all different sorts of figures — the gap is 12 cents on the dollar, it’s 7 cents, it’s 24 cents. And that’s because, it’s hard to decompose and hard to measure. But a lot of the factors that we hear about are things like inflexible hours, or temporal flexible — inflexibility. So here you’re saying that kind of doesn’t exist, right, in this Uber ecosystem, correct? Anybody can work whenever they want? DIAMOND: Yeah, exactly. And that’s one reason we were so excited to study this question in the context of Uber data, because we could, sort of, rule out those theories from the beginning. DUBNER: So you write in the paper that unlike previous studies, you were able to, “completely explain the pay gap.” So can you unpack that just a bit? DIAMOND: Sure. So Uber pays drivers based on a relatively simple, transparent formula that takes into account how long your ride is in miles, how long the ride takes, and potentially, a surge multiplier where sometimes there’s, excessively high demand. LIST: So the fare itself is determined by an algorithm, which is gender-blind. The dispatch itself is gender-blind. And pay structure’s tied directly to output and not negotiated. DIAMOND: That transparency and that simplicity of pay is what makes this environment so interesting for studying a gender pay gap. HALL: Because we were able to work with such excellent, detailed data, we believe this is a first-of-its-kind study, insofar as it can actually fully explain the gender pay gap. DUBNER: Before you undertook this project, what were you looking for? Or what did you believe you’d find in the data? Did you think you’d see a gender pay gap here of zero? DIAMOND: I think there are reasons to think it could be small, but I went in with a very open mind. I mean, we’ve never been able to look at any labor market like this before, but zero, I mean, it’s hard to forecast any specific number. LIST: So my prediction was more or less that men and women would earn the same, but if there was a difference, I think the pay gap would slightly favor women. And this is kind of for two reasons. One, I knew that they had worked fewer hours per week so they had a chance to cherry-pick the better hours during the week. Point number two was, if there was discrimination on the platform, I was thinking that riders would actually prefer female drivers to male drivers. DUBNER: So let’s jump right to the number. What kind of pay gap did you actually find, if any, between male and female Uber drivers? Wait a minute! This is a big, juicy new piece of research, with a huge and detailed data set drawn from an economic ecosystem that’s practically made for this kind of analysis. So let’s not get ahead of ourselves. We’re talking today about a new working paper that uses Uber data to explore the gender earnings gap. It was written by five economists: Cody Cook of Uber, Paul Oyer of Stanford, and the three economists we’re speaking with today: Rebecca Diamond, Jonathan Hall, and John List. DUBNER: Explain, if you would, why these data are particularly useful in trying to answer this question? LIST: So we have mounds and mounds of data. We have millions of drivers. We have millions of observations, and 25 million driver-weeks across 196 cities. So just the depth of the data and the understanding of both the compensation function and the production function of drivers gives us a chance to — once we observe if there is indeed a gap — gives us a chance to unpack what are the features that can explain that gap. DUBNER: All right. So describe the data. I want to know both the overall universe of Uber driver data in the U.S. and then which subset your data comprises of that. LIST: We look at driver-weeks for Uber drivers from January of 2015 to March of 2017. DIAMOND: That is over 1.8 million drivers during this time, and over 740 million Uber trips. So we have really a lot of data to work with. And for part of the paper, we focus on one city. HALL: So we picked one city to go deep on for very practical reasons. The work that we’re doing is very data-intensive. DUBNER: Now, how much of that was because you’re from Chicago and how much was it was you’re lazy and it’s going to be easier for you to work with data from Chicago? LIST: No, no, no. No, no. So the team is out in San Francisco, and we’ve since — done Detroit, Houston, and Boston, and we find similar results. DUBNER: And give us gender breakdown in Chicago, and how representative that is of the rest of the U.S.? DIAMOND: So in the nationwide sample, 27 percent of drivers are female. And in the Chicago data set, 30 percent of drivers are female. So it’s a slightly more, but it’s pretty similar. DUBNER: Let me ask you this: how big — if you know — is what we call these days “the gig economy”? LIST: Some estimates suggest that up to 15 percent of people are full-time employed in the gig economy. And other estimates tell you that up to 30 percent of people are employed at least part-time in the gig economy. DUBNER: And does the gig economy tend to lean more male or female? LIST: The gig economy looks a lot like what we have on Uber, which is about a third of female drivers and two-thirds of male drivers. DUBNER: Is the Uber algorithm gender-blind? HALL: The algorithm is gender-blind, both in the literal sense that it doesn’t — that gender is not fed into it. DIAMOND: It does not incorporate gender into the calculation at all. HALL: And in the sense that it doesn’t facilitate discrimination by the users, the human users, who are more clever than the algorithm. DUBNER: Right. So let me just make sure I’m clear. You’re saying there’s no discrimination on the Uber side, on the supply side, because the algorithm is gender-blind and the price is the price. And you’re saying there’s no discrimination on the passenger side. So does that mean that discrimination accounts for zero percent of whatever pay gap you find or don’t find between male and female Uber drivers? DUBNER: All right. So you were telling us that your prediction was that there’d be either zero or a positive pay gap for women. What kind of pay gap did you actually find if any, between male and female Uber drivers ? DIAMOND: … which is pretty substantial. LIST: For doing the exact same job in a setting where work assignments are made by a gender-blind algorithm and pay structure’s tied directly to output and not negotiated. DUBNER: So a 7 percent gap, how does that compare to the best research in other occupations? DIAMOND: So there’s been some previous work that has looked at within-firm gender pay gaps. And seven percent is not very different than the overall average we see across all firms, even in the traditional labor market. DUBNER: Were you despondent or depressed or a little sad when you saw the size of the effect here? DIAMOND: I just wanted to know more. I wanted to know where it was coming from, and what were the causes. DUBNER: Okay. So I want to get into what are the factors. In the paper, you write that there are three. Number one? DIAMOND: And an important contributor to the gap is particularly where the rides started. So different neighborhoods are going to differ in the types of rides that you’re going to get, and also potentially the frequency of rides you’re going to get called for. So men and women tend to target different neighborhoods of where they’re driving, and men are targeting more lucrative pay areas than women. DUBNER: And does that have to do with, like, at 3:00 in the morning on Saturday, and I want to go out to where all the bars are, and there might be a surge? Or is it more — I don’t know, early-morning airport trips? Can you characterize the nature of those most lucrative trips, that men seem to be doing a little better at? DIAMOND: I mean, that’s a theory. We haven’t unpacked what’s so magical about Sunday afternoon, but pay tends to be high then. And women work disproportionate hours then. DUBNER: But for all those potential differences, the absolute amount is still relatively small. You’re saying 20 percent of a gap of 7 percent can be explained by time and location, right? DUBNER: What is the overall driver attrition rate? I don’t know whether it’s measured in six months or a year, or whatever. DIAMOND: So the six-month attrition rate for the whole U.S. for men is about 63 percent, and for women it’s about 76 percent. DUBNER: Wow. So that would connote to me, an amateur at least, that maybe this gender pay gap among Uber drivers is reflected in the fact that women leave it so much more. Maybe it’s just a job that on average, women really don’t like. Is that measurable? LIST: That’s a good question. I like to think about people liking to be a ride-share partner, rather than disliking it. But it is measurable. When you look at the attrition rates, it is true that women do fall off the platform more. But they’re also earning less. So it’s not clear whether it’s because of preferences for not liking to drive as much as men like to drive, or if it’s simply an earnings effect. LIST: It’s likely the combination of both those two. DUBNER: Yeah, but does this higher female attrition rate mean that the average female is likely to be less experienced than the average male driver, and therefore will earn less. Yeah? LIST: No, that’s right. When you look at experience, really men are more experienced than women because of two primary reasons. One, women drop off the platform more often than men. But, two, even for those who are on the platform for the same amount of time, since the average man drives about 50 percent more trips per week than the average woman, you still have the experience effect for those who have been on the platform the same number of months. DUBNER: Okay, a third of the gap can be explained by returns to experience. You said about 20 percent of the gap can be explained by time and location of work. But that leaves almost half that can be explained by the third factor. What is that? LIST: That’s right. So after we account for experience now we’re left scratching our heads. So, we’re thinking, “Well, we’ve tried discrimination. We’ve done where, when. We’ve done experience. What possibly could it be?” What we notice in the data is that men are actually completing more trips per hour than women. So this is sort of a eureka moment. DUBNER: They’re driving faster, aren’t they? DIAMOND: So the gap is small — men drive about 2 percent faster than women. So it doesn’t suggest that that’s leading to big differences in risk. DUBNER: But I also did see that the University of Michigan transportation research unit, they looked at a big, nationally representative sample of police-reported crashes, and they did seem to find that females, on average — on a per-mile driven basis — have more crashes than males. In your data, certainly you could — you have all of that data, right? You have miles driven, you have crashes, presumably. Could you look if you wanted to, and see if, on a per-mile basis, women crash more or less than men? DIAMOND: I haven’t worked with that data. We’ve been just working with the labor-market data. Uber maybe could look at that but that hasn’t been something we’ve worked at. HALL: We don’t have an answer to that. It’s something that we would like to study, but we do not have any answer to it. DIAMOND: I think on the flip side of the — if you look at — of the female having — women having more accidents, I think men have more fatal accidents. So there’s sort of a quality/quantity tradeoff, so it’s not clear who’s actually driving safer. One thing I can say is we’ve looked at, like, the ratings of customers on faster versus slower rides. And if anything, it’s marginally correlated with a higher rating. So it looks like riders do value getting there faster. DUBNER: So in summary, this is a labor ecosystem — Uber drivers — that would seem to remove all gender discrimination, and yet women earn 7 percent less for doing essentially the same work. DIAMOND: I mean, I think they’re not doing the same, right? That’s what we’re showing, they’re doing different — they’re making different choices in the labor market. I think it’s — really the whole point is that they’re not doing the same. And once you control for the differences, they are paid the same. LIST: That’s right. We’ve stripped away all of the factors that we thought were underlying determinants of the gender pay gap, and we go to this new vibrant gig economy that promises worker flexibility and labor flexibility and equal pay for equal work. When you analyze the mounds and mounds of data, it ends up that we have a 7 percent difference. Now, what’s interesting and intriguing is that after you unpack those differences, what you find is that there are perfectly reasonable explanations for what’s happening on the Uber platform. Perfectly reasonable explanations, maybe. But the bottom line is that women are still making less money. So, what, if anything, should be done about that? LIST: Well, I’m going to allow our policy experts to answer that question. We’ve been speaking with three economists — Jonathan Hall of Uber; Rebecca Diamond, of Stanford, and John List, of the University of Chicago and Uber — about their new working paper, which uses Uber data to explore the gender gap in earnings. They found that even in a labor market where discrimination can be ruled out, women still earn 7 percent less than men — in this case, roughly 20 dollars an hour versus 21. The difference is due to three factors: time and location of driving; driver experience; and average speed. LIST: So, by and large, these three things are causing men to be more productive on the platform, and in return they’re getting a higher wage. GOLDIN: I like to think about an individual who gets a degree — let’s say a law degree — and it’s a woman, and now I have an individual, a man, who gets a law degree. And they graduate from law school and they’re both equally brilliant, and they both get jobs in approximately the same type of firm. By and large they’re going to earn approximately the same amount when they start. Things will continue in their lives — they’ll both perhaps find partners, get married, have kids. It’s often the case that women will leave the very large law firms that put a lot of time demands on them and go to smaller firms or become corporate counsel, become part-time corporate counsel, perhaps, for a while. They will go to smaller firms where the workload is somewhat different. They may work in fact the same number of hours, but they may work hours that are their hours rather than the hours imposed on them by the firm. The woman will then begin to make — if she’s the one who did this — she will make considerably less than the man. And a lot of what we see — not all of it — but a lot of what we see is this choice to go into occupations that have less expensive temporal flexibility, that allow individuals to do their work on their own time. Earlier, John List told us what he thought the Uber data would show. LIST: So my prediction was more or less that men and women would earn the same, but if there was a difference, I think the pay gap would slightly favor women. That prediction turned out to be wrong. DUBNER: So, John. One of the explanations that is often given for the gender pay gap, coming from Claudia Goldin at Harvard, is that it has to do with temporal flexibility or inflexibility. How did that factor into your prediction of what these Uber data would show? Because I would assume — but maybe I’m wrong — that if ever there was a job that offered total temporal flexibility, it would be an Uber driver. LIST: No, I think that’s exactly right. Claudia is the world’s expert in this area. And she’s argued I think quite persuasively that once we take off the table this idea that if you labor long hours or work specific hours during the week — once we take those off the table, then it’s much more likely that this gender pay gap might entirely vanish. So, kind of my intuition actually arose from Claudia’s work. This type of job is at the extreme of temporal flexibility. This allows you to work any time, anywhere you want. And what we observe is that even when you give a lot of flexibility, you don’t see a really tiny or non-existent gender pay gap. DIAMOND: But I mean it can definitely be true that there exist occupations outside of Uber in the labor market that do exhibit this hours/earnings relationship that compensates long hours of work. That’s Rebecca Diamond again, talking about Claudia Goldin’s research. DIAMOND: If you look at her previous work, for example, on workers in the financial industry, the pay gap there is enormous. It’s bigger than 7 percent. And in the financial industry, there’s this huge compensation for working extremely long hours, and never having, like, interruptions in your career. But Uber shows that even when you strip away all of this stuff, you definitely don’t go to a gender gap of zero, and you still have this important experience component, where you work more and you learn about how to do the job better, and you get better at doing the job. So you can’t say it’s all going to be perfect in this new gig economy, that we won’t have total equality. But the reasons we don’t have total equality are not because of discrimination, or problems in how we compensate workers. It really is about working more hours and gaining knowledge on the job, and differences in gender preferences. DUBNER: And when an economist like you says “differences in gender preferences,” can you unpack that a little bit? Because I think you guys mean something a little bit different by the word “preferences” than the layperson does. DIAMOND: Sure. For example, women prefer to work fewer hours per week than men on Uber, and in the broader economy. That’s a choice by men and women, given the other aspects of their life, that they’re taking into account, when deciding how much to work. Women are choosing to drive slower, which is a choice likely just based on preferences of just how they’ve learned to drive in their broader life. Those aren’t aspects of the labor market, those are just differences between men and women outside of the labor force that happened to lead to differences in compensation in the labor force. DUBNER: Right. But then what if I say, Well, I know they might look like preferences on paper, that I choose to work 20 hours a week instead of 30, but the reason I’m doing that is because I’m the one who needs to, let’s say, take care of my elderly mother — or worse, my mother-in-law, my husband’s mother, because he’s not going to do that. So yeah, it shows up in the data as a preference, but in fact, it’s much more of a structural component that I really can’t do anything about. So are those two the same thing, or is something being lost in the data? DUBNER: Don’t say never. You never know. DIAMOND: And those differences can lead to labor-supply differences. But in the labor market, there could be changes in how women and men supply hours over time, as our broader society evolves. But we shouldn’t necessarily be worried about a problem in the labor market, because of these differences in gender choices. We may be worried or interested in understanding why broader society leads men and women to make different choices outside the labor market, and that can lead to different outcomes in the labor market. But it’s not a problem in the labor market. LIST: So, I think when you look at our data, I think it’s actually a mixture of preferences. Driving fast. But I also think it’s a mixture of constraints, and what I mean by that is men work more hours and take more trips than the average woman. So, why is that? Part of it is because women have more constraints — i.e, take the kid to school in the morning. Be responsible for taking Johnny to the soccer game. And I think those constraints then lead women to actually receive less experience and less learning-by-doing. So I think it’s actually a mixture of preferences and constraints. Now as policy makers, what we want to do is make sure that we can alleviate those constraints as much as possible. DUBNER: So, Uber could just, I guess, increase its baseline pay to female drivers by 7 percent. But I guess that would be discriminatory wouldn’t it, against men? Or would it not? HALL: I mean, in the literal sense of the word, that would be discriminatory. That, again, is Jonathan Hall, who directs public policy at Uber. HALL: But what I’ve learned, as an economist and as a practitioner at Uber, is that simple-sounding solutions don’t always work. What I would call for is a scientific approach that not just Uber but lots and lots of people and lots of companies should take, to trying things and testing scientifically, ideally, with academic collaborators, whether or not those things work. DUBNER: So this is brand-new research. The findings are just out. Uber has had some well-publicized issues with sexual harassment, discrimination, recently, including in the headquarters. So, I’m sure some people might look at this and think, well, maybe this is a kind of a reputational fix for Uber, or some people might think that, “Well, the fact that women drivers at Uber earn less is indicative of the problem.” Do you think Uber is worried, or was worried, about publishing this finding? Because on the one hand you could praise the company for inventing, essentially, a gender-blind labor ecosystem, right? On the other, you could imagine some headline writer saying, “Uber underpays women drivers by 7 percent.” There’s some risk. And I’m curious how Uber approached that. HALL: Nobody denies that Uber’s made mistakes in the past and that we need to improve. One thing I know that we have done recently is review pay equity across levels, jobs, and geographies. So it’s something that we’re very keen to continue to improve on. But I take your point that this project could be cast in a similar light. So I can’t guarantee that nobody will write a bad headline, but my perspective is much longer-term. I feel very strongly that what we as a company need to do is develop a long-run, credible perspective on difficult problems. DIAMOND: I think we should really be happy and excited that Uber wants to take on these really important questions that, as you pointed out, if you’re not careful in understanding what’s really going on, could lead people to misinterpret the data. And they were willing to take that risk and show how data created by Uber and their business model has these super-interesting benefits to the academic community, and to just knowledge overall, and they’re willing to take that risk and put knowledge first. I was really impressed by that. DUBNER: Right. So, okay. The million-dollar question: based on what you’ve learned from this research, how should Uber and the rest of the world respond? DIAMOND: I think this is showing that the gender pay gap is not likely to go away completely anytime soon. Unless somehow, things in our broader society really change, about how men and women are making choices about their broader lives, than just the labor market. But it’s not also a worry that the labor market is not functioning correctly. It makes sense to compensate people who are doing more productive work. It makes sense to pay people more if they work more hours. I mean, I don’t think those are things that we would ever consider thinking should be changed because that they’re a problem. Those are just real reasons that productivity can differ between men and women. And we should compensate people based on productivity. HALL: We want to dive much deeper into this, to understand what the space of potential interventions looks like in order to reduce the gender gap. So for example, I mean, we’re not committing to anything simply because I feel strongly that we do not have an understanding of this yet. But for example, you could imagine that if we make our software easier to use and we can steepen up the learning curve, then if people learn more quickly on the system, then that portion of the gap could be resolved via some kind of intervention. But that’s just an example. And we’re not there yet with our depth of understanding, to just simply write off the gender gap as a preference. DUBNER: Now, as I understand it, these data were gathered before Uber allowed riders to tip drivers. I’m curious to know what you think tipping will do to the gender pay gap? LIST: We’ve just been compiling some data on tipping. Now, the tipping algorithm has just started in the past year, so we don’t have the exact data set we need to look at for this issue. But what you do find is that women do receive more tips on the platform compared to men. In fact, 10 to 20 percent more in the tip category. DUBNER: I’m curious do females get higher tips in restaurants and so on than men? LIST: Yeah, I think when you look at the tipping data in general, you do find a tilt in favor of women compared to men in general. We’ll have a tipping paper for you in a few months. Because the economics of tipping is sort of wide open, and we’ll have a paper just like this one called something like “A Nationwide Experiment on Tipping.” We’ll do the tipping roll out and show you how earnings change with the introduction of tipping. And the earnings actually go down a little bit. They don’t go up after you introduce tipping. DUBNER: Now how can that be? LIST: What happens is the supply curve shifts out enough to compensate the higher tips. And when the supply curve shifts out, the organic wages go down. And what you have is drivers are underutilized. So what I mean by that is typically they’ll sit in their car empty 35 percent of the time. With tipping, maybe it’ll go up to 38 percent of the time. DUBNER: In other words, the wage declines because more drivers think they’re going to make more money since tips are now included, but that increases the supply of drivers, which means there’s less demand to go around. Wouldn’t it be interesting if one form of gender imbalance — higher tips for women — wound up closing the gender-pay gap at Uber? Again, the paper is called “The Gender Earnings Gap in the Gig Economy: Evidence From Over a Million Rideshare Drivers.” You can view it in its entirety below. We spoke with John List, of the University of Chicago, and Uber; Jonathan Hall, of Uber, and Rebecca Diamond, of Stanford. The other co-authors are Cody Cook of Uber and Paul Oyer of Stanford. Freakonomics Radio is produced by WNYC Studios and Dubner Productions. This episode was produced by Greg Rosalsky. Our staff also includes Alison Hockenberry, Merritt Jacob, Stephanie Tam, Max Miller, Vera Carothers, Harry Huggins and Brian Gutierrez; the music throughout the episode was composed by Luis Guerra. You can subscribe to Freakonomics Radio on Apple Podcasts, or wherever you get your podcasts. You can also find us on Twitter, Facebook, or via email at radio@freakonomics.com. Rebecca Diamond, professor of economics at Stanford. Claudia Goldin, professor of economics at Harvard. Jonathan Hall, head of the public policy and economics team at Uber. John List, chairman of the University of Chicago economics department, head of “ubernomics” team at Uber. “The Gender Earnings Gap in the Gig Economy: Evidence From Over a Million Rideshare Drivers,” Cody Cook, Rebecca Diamond, Jonathan Hall, John List, and Paul Oyer (2018). 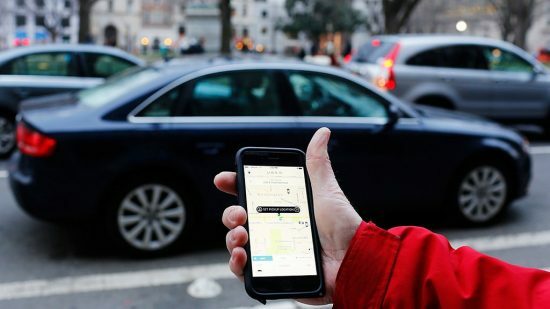 “An Analysis of the Labor Market for Uber’s Driver-Partners in the United States,” Jonathan V. Hall and Alan B. Krueger (2016). “Why Uber Is an Economist’s Dream,” Freakonomics Radio (2016). “The True Story of the Gender Pay Gap,” Freakonomics Radio (2016).